Star Wars Celebration 2019 is nearly upon us and for the first time, the SWTOR Fan Community will be playing a part! Headed up by @swtorista, the Community will have their own booth at the event, along with swag, giveaways and much more. Passionate SWTOR players will be staffing the stand letting Star Wars fans meet the very-active gamers of Star Wars: The Old Republic. Below you can also enter a competition of my own to win a 30-day SWTOR Game-Time code! Hint: most images here can be previewed full-screen – just tap the picture you want to see! Who is the SWTOR Fan Community? The Community is made up of SWTOR players, content creators, bloggers, streamers and podcasters. While it is not affiliated with Bioware, it nevertheless will be shameless in being positive in promoting the game and those who enjoy time creating and playing their characters during the Old Republic era. You will be able to find them at Booth #1344 next to Cosplayers of the Old Republic. With a large number of active, positive players and contributors attending, there is a lot going on that you can get involved with. A link to the full press release is below! Experience the Game at Celebration! Never played Star Wars: The Old Republic before? Then you can go hands-on with a gaming machine at the SWTOR Fan Community Booth! During the event, the SWTOR Fan Community will have buttons and postcards of top SWTOR NPCs to give away. 200 Cartel Coins’ worth of Cartel Market (the SWTOR in-game store) prizes. A chance to win game-time codes. Photo Updates posted automatically from the event to @swtor_community on Twitter. Giveaways, which you can enter from various social media platforms. You can find all the juicy details about the SWTOR Fan Community’s presence at Star Wars Celebration by tapping the button below! There is an official SWTOR Cantina event to be held on April 13th 2019 at Marriot Marquis Chicago in the Grand Ballroom. SWTOR itself will have exclusive swag and giveaways too! Expect the SWTOR Fan Community to be packing the place out! So if you’re lucky enough to be on that side of the Pond (I’m not, sadly), and can make Star Wars Celebration, then head on down! This can be done via Twitter, Facebook or you can email it to fj at fibrojedi dot me dot uk. If you want to enter via twitter please use the hashtag #fibrojedi2019. All entries will be retweeted when I get a chance! Deadline: Midnight UK time (or 11:59pm if you want to be pedantic!) on 17th April (I’m at a wedding during the weekend of Celebration so need to time to collapse after the long journey!). I will leave a pinned tweet and Facebook post for entries, but you can send them to me before I manage it! 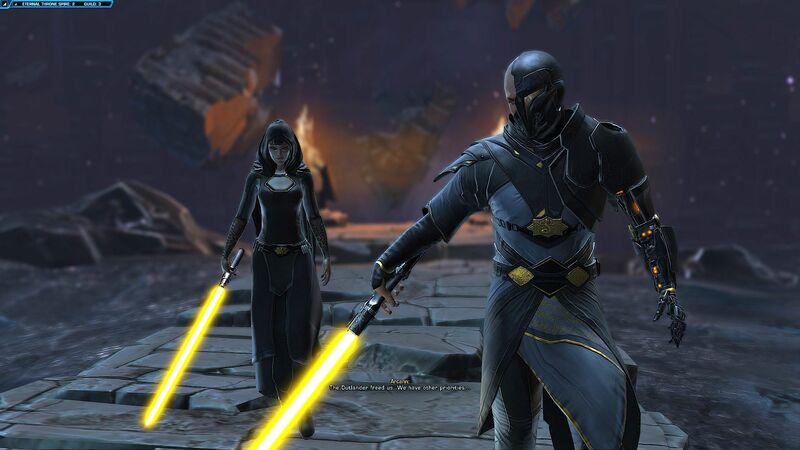 The community that enjoys playing Star Wars: The Old Republic is very active and passionate. I envy those who can take part and attend Celebration! 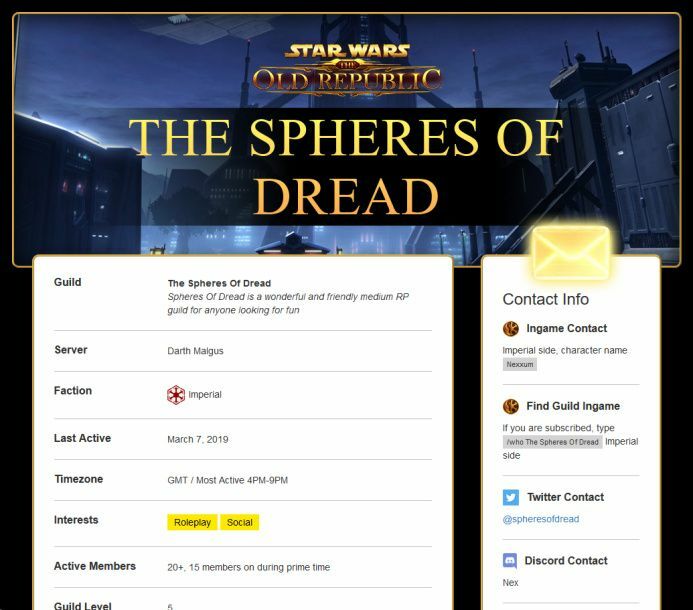 I do my part with SWTOR blog posts and guides. If you can go, have a great time! Do support the SWTOR Fan Community, either in-person or online. And if you haven’t played SWTOR, then you can get started on your journey for free. May the Force Be With You!